Heard about winter storm Grayson? If you haven’t heard the name you have certainly felt it’s effects around Orlando and the Central Florida area. 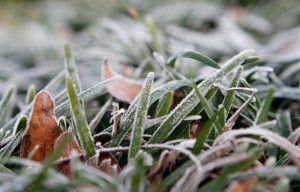 It caused frosts throughout the state of Florida, snow in the northern parts, and temperatures that made plants shiver for days. The good news is we got some rain. The bad news is that our tropical landscapes don’t care for the frost so if you tried your luck without frost cloth, you’re probably seeing a lot of brown. Total Sprinkler and Lighting is here to help clean that up. Lost a couple of hedge plants or favored border plantings? We can replace those. Sprinkler system need a tune up for the winter months? We can do that too. Even some landscape lighting can be affected by those low, low temperatures. We recommend including them under that frost cloth the next time something comes our way. If you didn’t, and you’re seeing some issues with your lighting system, it’s likely a wire issue that we can definitely repair. In short, if the cold got it – we can fix it. Give us a call or visit our contact page to email us. We’ll be happy to make sure your landscape and outdoor systems are taken care of this New Year.